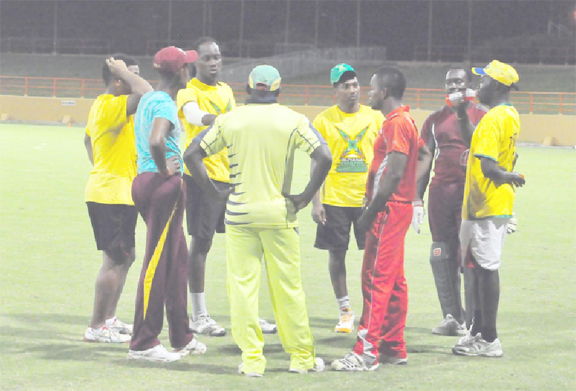 Local Limacol Caribbean Premier League (LCPL) team, the Amazon Warriors, last evening conducted match simulated training sessions under lights at the Guyana National Stadium, Providence in a bid to fine tune preparations for Wednesday’s first match against the Trinidad and Tobago Red Steel. 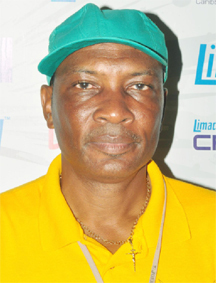 Facilitated under the watchful eye of Head Coach, Roger Harper, the team, which included skipper Ramnaresh Sarwan, Steven Jacobs, Keon Joseph, Trevon Griffith, Veerasammy Permaul and their Caribbean counterparts in William Perkins, Dinesh Ramdin and Krishmar Santokie among others, simulated events such as batting, wicket-keeping, bowling and fielding under the stadium’s floodlights. Harper duly shared thoughts on the team’s progression throughout their camp which began earlier this week stating that the players were taught to work, understand and learn from each other ahead of their quest to win the inaugural CPL T20 title. He noted that the camp has so far gone well stating that he began with 10 players but due to Christopher Barnwell’s call up for the T20’s against the touring Pakistan side, he has been reduced to nine players. Team Head Coach Roger Harper. “We are thankful for the weather which has allowed us to get in some work in our build up to Wednesday,” the coach stated. Speaking on the team’s cohesiveness, Harper said that the local boys have been gelling together quite nicely with their Caribbean counterparts. This, he said, will make the other international players, who will be arriving over the next few days have the luxury of fitting into the squad and thriving off of the bond the team has already made. “The gelling has been excellent; when the other guys come in they will fit it easily,” he declared. Harper highlighted that the importance of the camp which he said was to work on both the team’s strength and weakness. He also stated that he was trying to give the batters as much practice as possible ahead of Wednesday’s game. The team is awaiting on the arrival of the New Zealand pair of Martin Guptill and James Franklin, along with Sunil Narine and Barnwell. Guptil and Farnklin were expected in last night. The Amazon Warriors will play a practice match tonight at the Stadium commencing at 17:00hrs against a locally selected squad. The Warriors first match in the CPL is against the Trinidad and Tobago Red Steel on July 31.